This underwear display racks was made for a small lingerie boutique store project in HongKong, at last December. This underwear boutique store for woman, mainly grey and purple color. 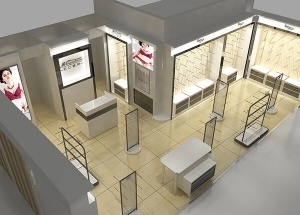 It including 5 pcs wall underwear display racks, 2 lingerie gondola, the reception counter and mirrors. 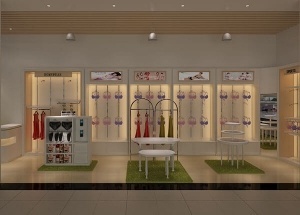 In the lesf wall, we using 2 pc wall display racks: one with 5 layer metal display hooks to display bra or underpants, and one with 2 layer to display short clothing and pajamas. 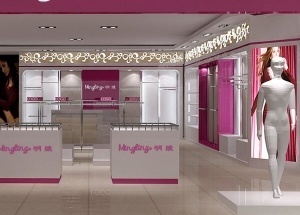 The right wall, also two pcs wall display racks, to display bra , short clothing and pajamas. 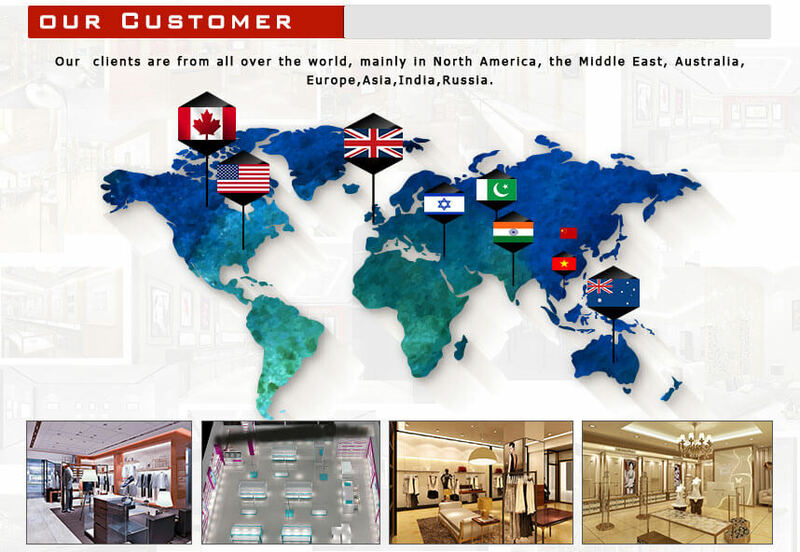 We are display furniture manufacturer, welcome to contact us to get a free lingerie store design, and a very competitive price for the underwear display racks. 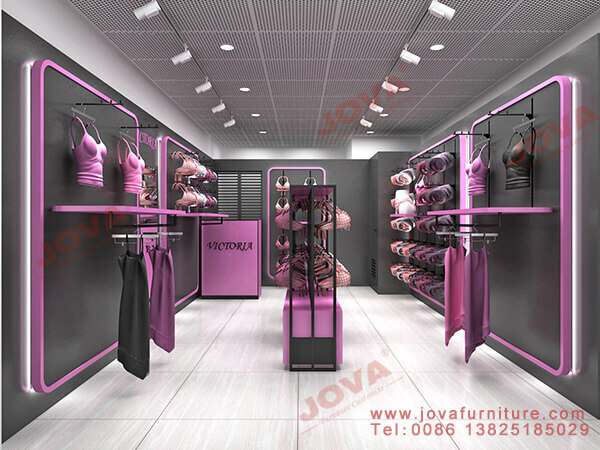 Get a free underwear store design, Please contact us by whatsapp: +86 13825185029 , email at jason@jovafurniture.com.